Anna is a very friendly girl and because Elsa has been ignoring her for most of her youth, she has always dreamed of having more sisters. So when she got into college her first thought was to join a sorority! 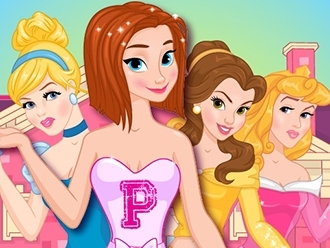 Cinderella, Belle and Aurora have a fabulous Princess Sorority, and Anna seems like a promising sister for them, but they won't let her get in that easy. But how will things end? Play this fun game to find out! Enjoy!